Today, the International AIDS Society announced San Francisco and Oakland as co-hosts of the 23rd International AIDS Conference (AIDS 2020). 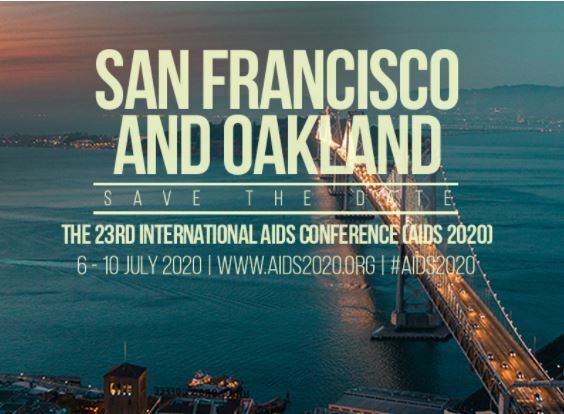 #AIDS2020 will take place on 6-10 July 2020, returning the world’s largest HIV conference to the Bay Area, 30 years after the region emerged as an epicenter of the AIDS epidemic. Both Oakland and San Francisco faced the ravages of the AIDS epidemic at the beginning and now stand together to bring an end to the HIV epidemic. We look forward to welcoming the world to the Bay Area to strengthen our world-wide movement to end this epidemic.